Not that long ago, we got all hot under the collar when rumors about Fox's X-Men spin-off The New Mutants started creeping online. Those early reports seemed pretty darn exciting. Would it really be set in the '80s like the upcoming Apocalypse? Could Game of Thrones' Maisie Williams be playing a half-human, half-werewolf Scot? 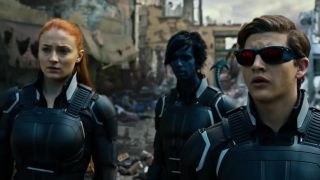 Even though Fox vehemently denied all of the above, Williams herself referenced the film saying she'd love to be in it, and now director Josh Boone has gone one better. He's essentially confirmed the rumored line-up of mutants by flooding Instagram with pics of those characters from the comics. The mutants included above are Mirage, Cannonball, Magik, Sunspot, Wolfsbane and Warlock, and with the exception of the latter shape-shifter, that's the same line-up which appeared online several weeks back. Following that same 'logic' does this mean that Williams is definitely attached? It's only a matter of time before we get an official confirmation on that one, I'd say. The New Mutants, based on the Marvel comic series of the same name, are another superhero team within the larger X-Men universe who happen to be teenagers. Think of them kinda like the bunch from First Class, except producer Simon Kinberg says this spin-off will definitely have more of a "YA vibe." At the moment, the film has no release date on the calendar. Once Apocalypse opens later this month - and those all-important opening weekend numbers are in - it probably won't stay that way for long.